Often hiding out in mattresses, bedbugs are small, flat parasites that feed on your blood while you sleep and leave behind a series of irritating bites. In addition to putting you at risk of an allergic reaction, these bites can keep you up at night and ruin the quality of your sleep. Given these risks, every person should take certain precautions to keep bedbugs out of their homes. To help you avoid the need for professional pest control, here are a few ways to prevent bedbugs. Specialized covers that zip around the mattress and box springs can help keep bedbugs from nesting where you sleep by providing a protective barrier. Find one that is designed to protect against bedbugs, and upgrade to a waterproof option to extend the life span of your mattress further. Bedbugs are often attracted to clutter as it provides a safe resting spot. Clean bedrooms routinely, throw out the trash as needed, and vacuum carpets twice a week. If you like to browse secondhand shops for furniture, be cautious of any items you may decide to bring home. Since you won’t know where the item was before, inspect it fully for bedbugs. 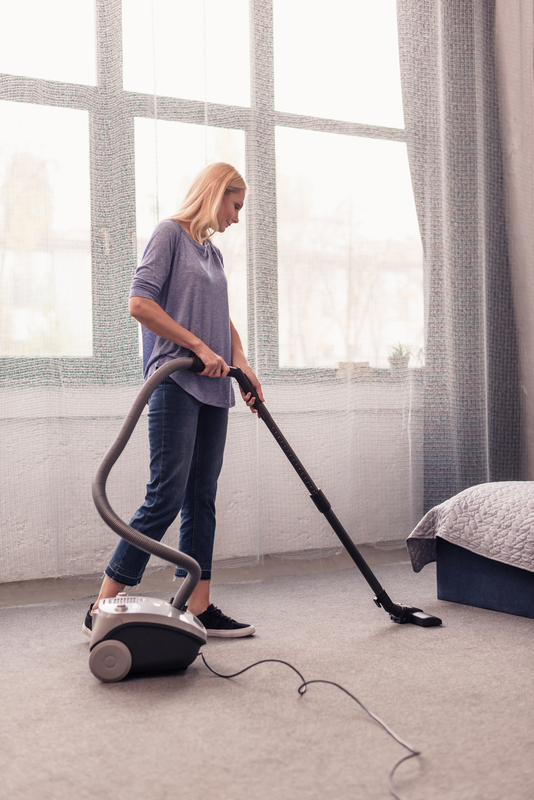 If you notice any brown insects, rust-colored stains, or pale exoskeletons lingering on the furniture, there’s a chance it may contain bedbugs. To play it safe, leave the item behind. Travel is one of the most common ways people bring bedbugs home, as these pests will easily hitch a ride on clothes and luggage. To avoid bringing home an unwanted souvenir, always inspect hotel mattresses whenever you check into a room. If you notice signs of bedbugs—such as dark rusty spots—request to move to another room. If you’re worried that bedbugs are hitchhiking on your luggage, you’ll need to act fast to avoid infestation. For proper pest control, wash and dry all clothing from the luggage to kill the bugs. Next, seal the luggage in a bag and place it outside in freezing weather or in a car trunk where it can reach 120 degrees or higher. These extreme temperatures should kill any remaining bugs. If you spot bedbugs in your home, don’t wait to let the problem grow worse. For thorough pest control, turn to the professionals at E-Town Exterminating. Serving the Elizabethtown, KY, community for more than 40 years, these exterminators can accurately pinpoint infestations and provide thorough care to eliminate the problem. Whether you’re dealing with bedbugs or termites, these specialists will work quickly to restore your home. They also offer treatment services to help keep bugs from coming back. Visit this Hardin County exterminator online to learn more about their services, and call (270) 737-6900 to request pest control help from an expert.